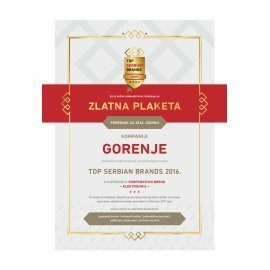 Gorenje brand received the Top Serbian Brands 2016 award in Serbia, and with that the title of the most popular electronics brand among Serbian users in 2016. Each year, the Top Serbian Brands awards are presented based on the votes from an independent public survey in which users and consumers in Serbia choose the most popular brands in 57 categories. The votes are cast via the Top Serbian Brands magazine and the Best of Serbia online portal. 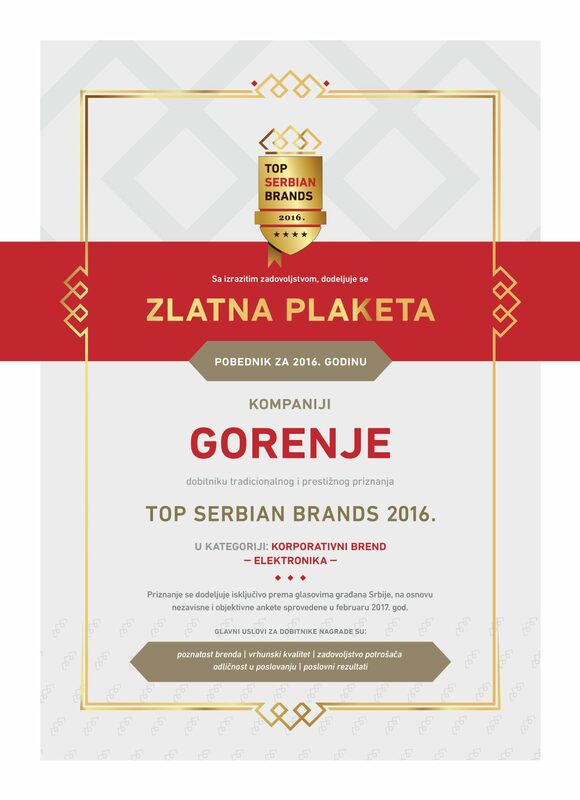 As reported by Gorenje Belgrade, "the Top Serbian Brands award is even more significant as consumers in Serbia chose Gorenje as the most popular brand in the electronics category in a time when offer of competing brands’ products in the market is rising steeply. This further reinforces status of Gorenje as the leading small and major domestic appliance brand in Serbia. Gorenje strives to be the source of practical ideas that make the increasingly fast- paced life and daily to-dos of our users simplified and more pleasant. We therefore ensure an overall customer care service and we do that by continuously ensuring high quality, innovation, superior design, and by implementing continuous improvements with our users in mind." The main criteria for winning the Top Serbian Brand award included the following: brand recognition, top quality of products, customer satisfaction and business results.